Wapekeka First Nation and Kitchenuhmaykoosib Inninuwug announce today the completion of a 22 kilometre hydro line that connects the two remote communities for the first time. The new 25kV distribution line removes connection restrictions and allows both communities the needed electricity infrastructure to power the community’s new housing connections and future development plans. It is expected that this hydro line will be the future connection between the communities when the planned Wataynikaneyap transmission line to the north is completed in about five years. 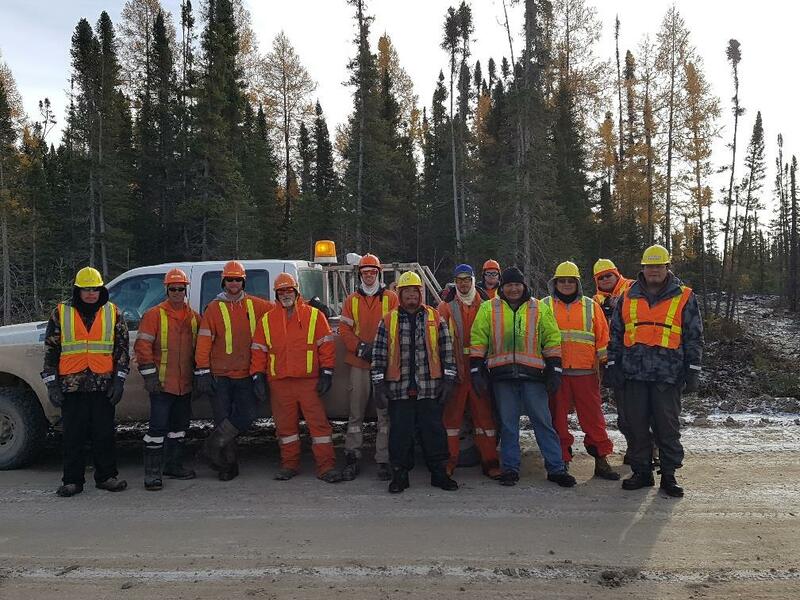 Local community citizens worked alongside Hydro One Remote Communities’ crews. These community citizens will be well prepared to take on more training and the employment opportunities that will come with the new transmission line construction. Hydro One Remote Communities lead the construction, and will be the Owner/Operator of the new line, while Indigenous Services Canada is the project sponsor.